While I like to make a home cooked breakfast for my family every morning that is not always an option on those busiest days. I was delighted to learn that Jimmy Dean has launched a line of new breakfast sandwiches and bowls for a delicious and satisfying meal. With Jimmy Dean breakfast options including the new Maple Pancake and Maple Sausage Snack Size Sandwiches, Egg, Veggie and Pepper Jack Cheese Croissant Sandwich and the new Delights by Jimmy Dean Garden Blend Bowl there is sure to be something for everyone in the family to enjoy. If you like a sweet and savory option, the Maple Pancake and Maple Sausage Snack Size Sandwiches would be a wonderful choice. It features a sweet maple pancake with real Jimmy Dean sausage for a tasty breakfast when on the go. For those like me who love to eat their veggies, the Delights by Jimmy Dean Garden Blend Bowl has diced potatoes, scrambled egg whites, cheddar cheese, red and green peppers and onions for a protein powered breakfast (18 grams of protein) with only 240 calories per serving! 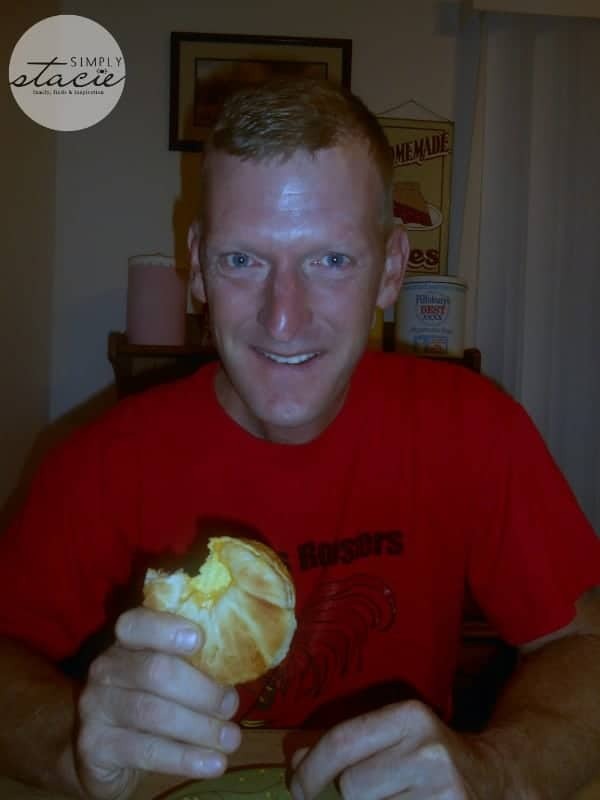 My husband and I love pepper jack cheese so we can’t wait to try the new Jimmy Dean Egg, Veggie and Pepper Jack Cheese Croissant Sandwich which can be heated quickly in the microwave and enjoyed by adults and children alike. We had to leave early one morning recently for a day trip to Legoland Florida and planned to stop at a restaurant on the way. My husband suggested that instead we enjoy a breakfast sandwich from Jimmy Dean and it turned out to be a great idea. 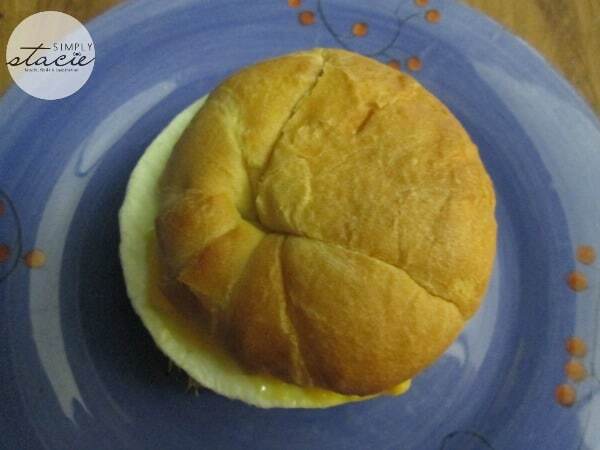 The Jimmy Dean Delights™ Turkey Sausage, Egg White & Cheese Croissant sandwiches were delicious. As a health conscious mom, I appreciate that it was not greasy at all and the sandwich was ready to eat in under three minutes in the microwave. I was impressed that it only had 280 calories, 6 grams of saturated fat, 4 grams of sugar and 740 mg of sodium which is far less than those other brand convenience breakfast sandwiches. Combined with a piece of fresh fruit and a drink, we enjoyed a nice breakfast at home that kept us filled up until lunchtime after a busy day at Legoland……..convenient and delicious! Jimmy Dean breakfast products are available at leading retailers and grocers nationwide. You are invited to visit Jimmy Dean to learn more about the entire product line and even check out some of the free recipes online. Connect with Jimmy Dean on Facebook, Twitter and Pinterest. This looks delicious.I’ll have to checkand whether there is one near by. Don’t think we can get these in Canada, but they do sound like they would come in handy for a quick breakfast! mmm I love Jimmy Dean’s breaky sandwiches! I’ll have to see if I can find these here I forgot all about them. These are a breakfast staple in our house. My daughter loves the turkey, sausage, and egg Delights. I like them, too, because they are lower in calorie. Wow these seem pretty neat. I love making breakfast sandwiches at home because I know whats in them. This would make it so much easier! This will be good for me to take to work since there’s never enough time to eat breakfast, gotta hit the morning traffic! I love these and buy them all the time to eat at work. I get to work every morning at 6:30 and fix one in microwave when I get there!! Looks delicious and filling! I want to try that pepper jack one, and I know my daughter would like the veggie. That protein is a huge bonus for her. It is often hard to find store bought high protein in regular products. I was a bit wary about buying these because I wasn’t sure if they’d actually be as good as something you’d make fresh.. But my family and I really like them! They’re quick and easy, and delicious! I know this sounds random, but I have been meaning to try these and always forget when I’m shopping. I’m glad to hear that you and your family enjoy them! I especially am interested in the Delights version because they are so low in calories and fat, yet seem like they have the substance to fill you up and not leave you feeling hungry after an hour or so. I’ve got them on my “official” list and am going to try them. Thanks for the review! mmmm It looks so delicious!